I never knew that Park Hae Jin could be this charming and attractive. I mean, I know he has a handsome face and a good body (hello biceps! ), but I never thought that I will fall into this actor as soon as I saw his latest drama, Cheese in the Trap. I’m one of the readers and fans of Cheese in the Trap the webtoon, and I’m extremely excited when I knew that there will be a live action drama of it. The first casting news confirmed by the production team is the male lead of the drama, which is no other than Park Hae Jin. At first I thought he is way too old to play the role of a senior college student. But if Lee Min Ho can play a role of a high schooler, I can’t see why Park Hae Jin can’t play the role of a college student (no offense to the fans of Lee Min Ho). I’m not a fan of Yoo Jung (Cheese in the trap male lead character) in the webtoon. I only find him good looking and sometime can be overly sweet (and creepy). But that’s it. I’m not head over heels for him. But in the drama, I’m finding myself smiling foolishly over what Yoo Jung did. 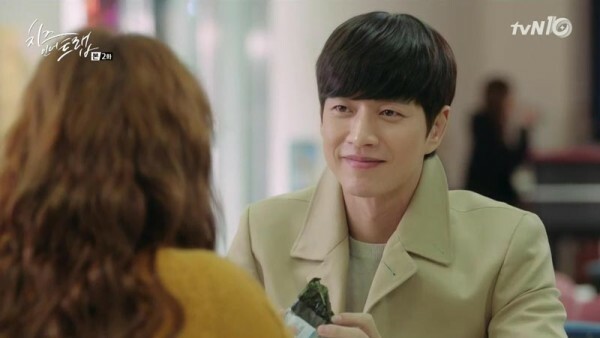 Now I can say that Park Hae Jin has successfully brought Yoo Jung character into life in a best way. I can’t help but falling for every little move he did in the drama. His gaze. His smirk. His mysterious smile. His sincere (?) gesture. His words. And his affection towards Hong Seol is riveting. I know that he can be creepy sometimes and I still have no idea what he’ll turn into, but I love everything about him right now. 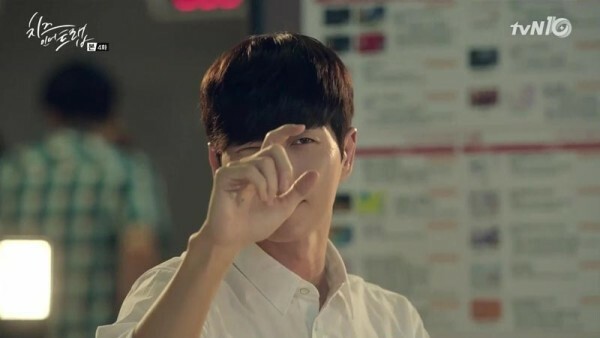 And based on the aforementioned description, I can say that now I’m head over heels for Park Hae Jin or Yoo Jung? Oh, whatever. It’s Park Hae Jin. Like I said in the beginning of this entry, I never knew that Park Hae Jin can be bursting with charms. Well, it probably because I never watched any of his dramas aside from My Love from another Star. His role in My Love from another Star is not attractive at all. In fact, his role has not left a lasting impression for me. 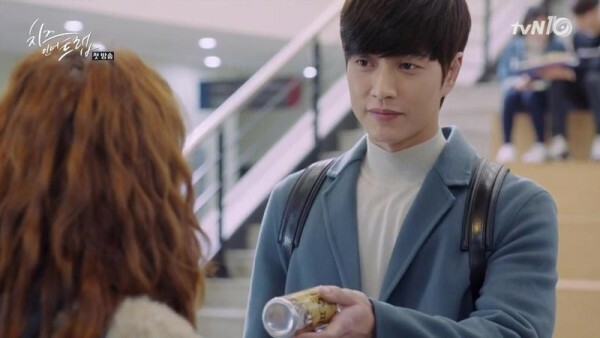 So, I’m in daze when I found that he can transform himself into the charming sunbae in Cheese in the Trap. If it goes well with him, I hope he someday will earn himself the Nation’s Sunbae title. I know that I myself would want to have a sunbae (and a boyfriend) like him.